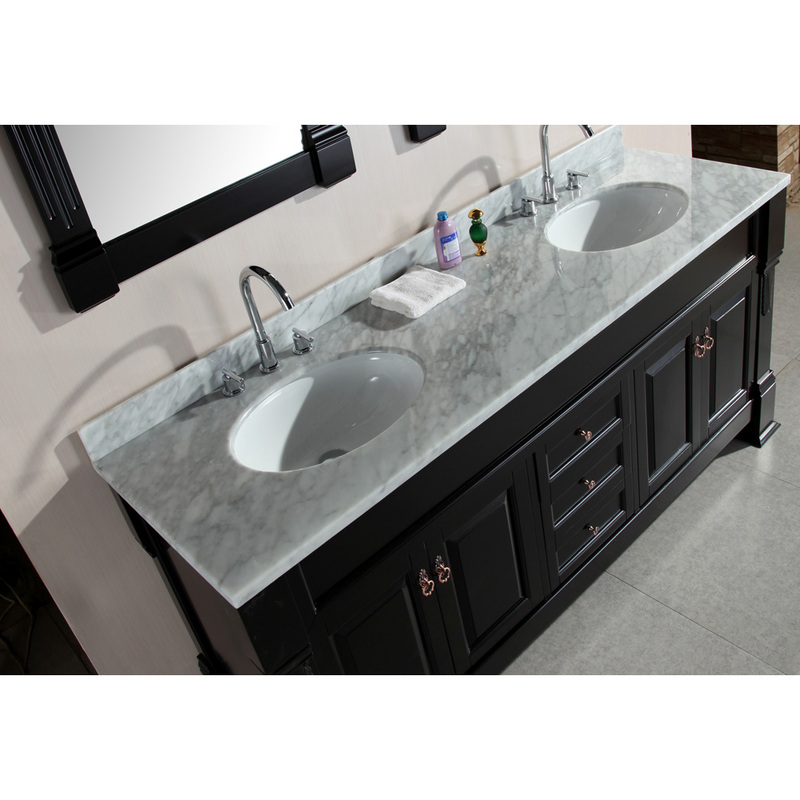 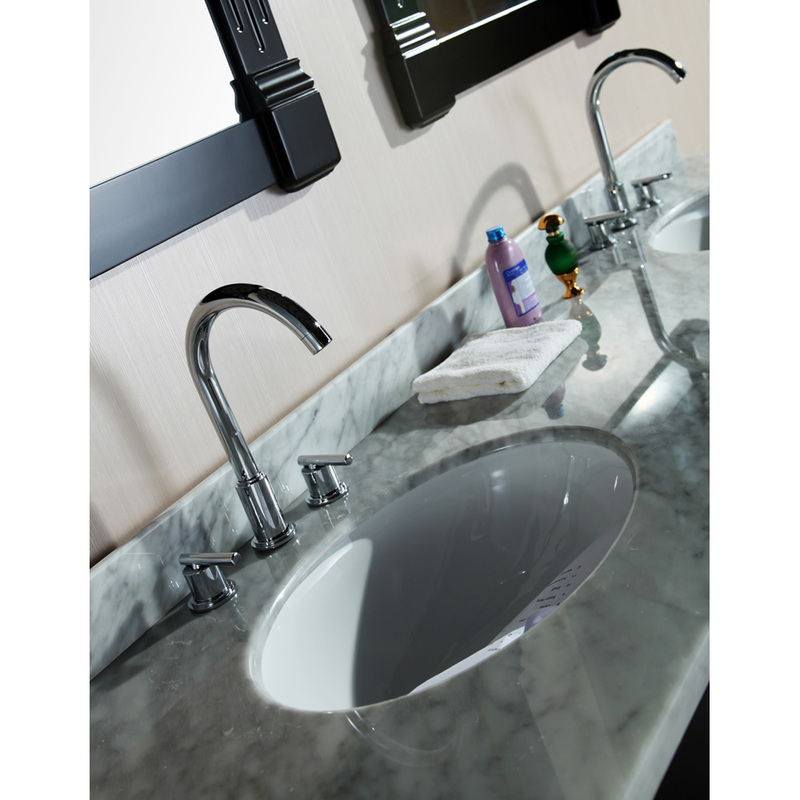 The Marcos 72" Double Sink Vanity Set is constructed with solid wood and provides a transitional design perfect for any bathroom remodel. 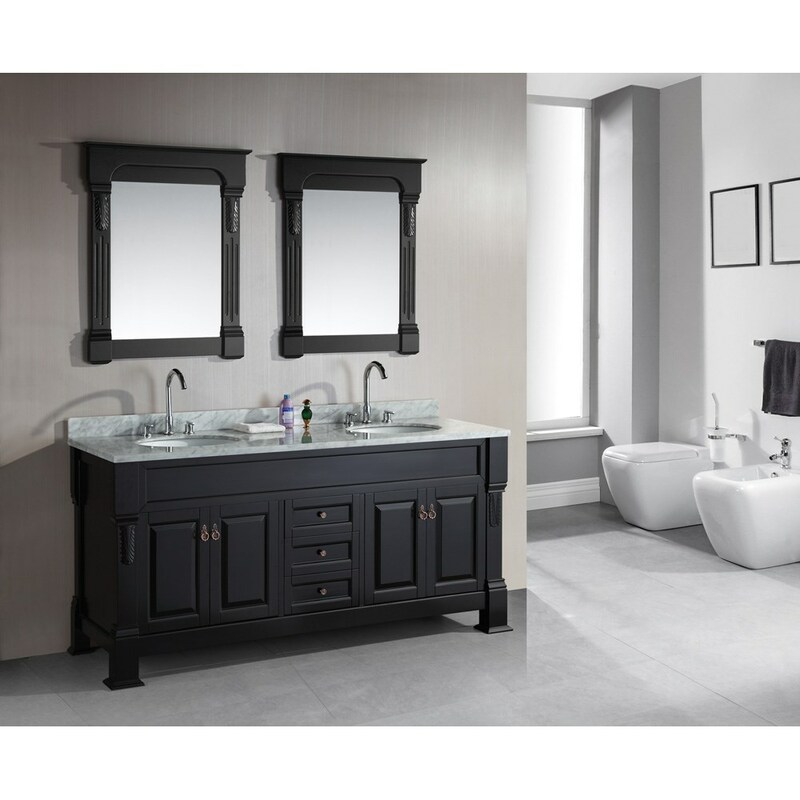 The ample storage in this free-standing vanity set includes three fully functional drawers and two double-door cabinets each accented with brushed nickel hardware. 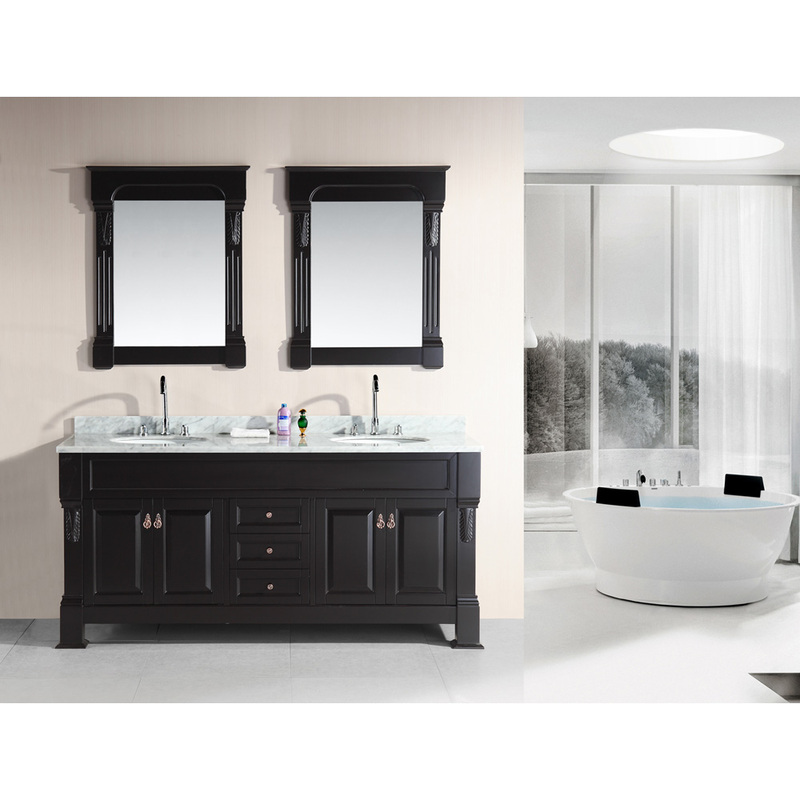 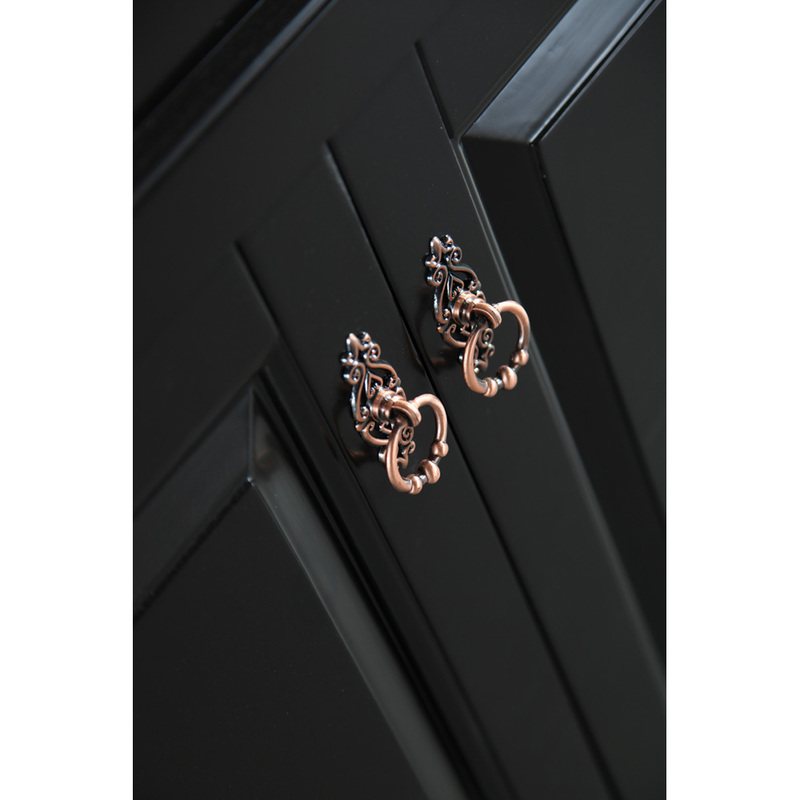 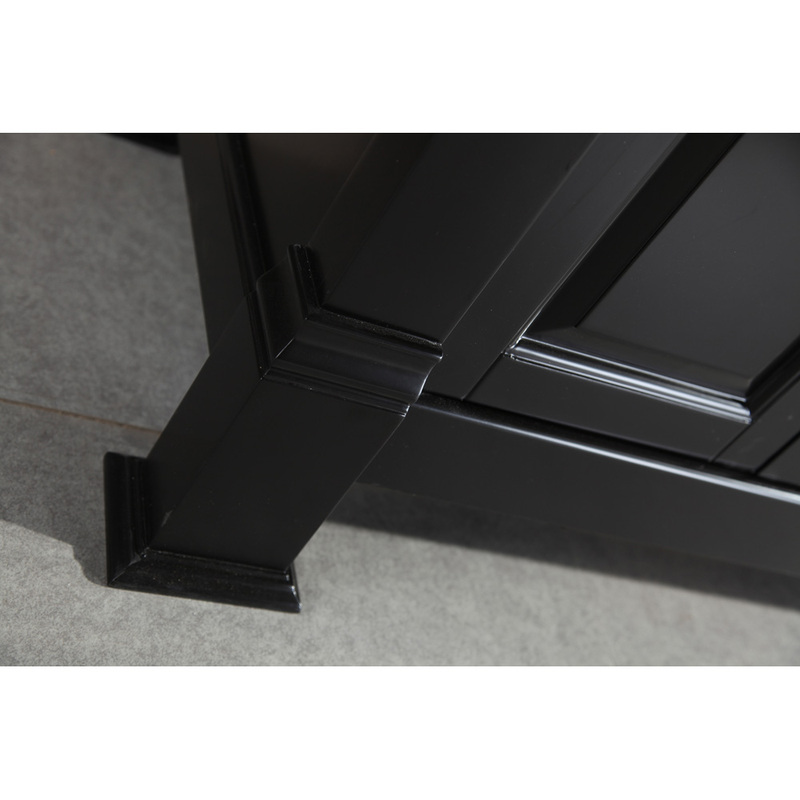 This particular cabinet is only available in espresso and comes as a complete set with a carrara white marble counter top and two matching framed mirrors.